Well, both leads are not mind-blowingly talented. I had very low expectation for their acting. 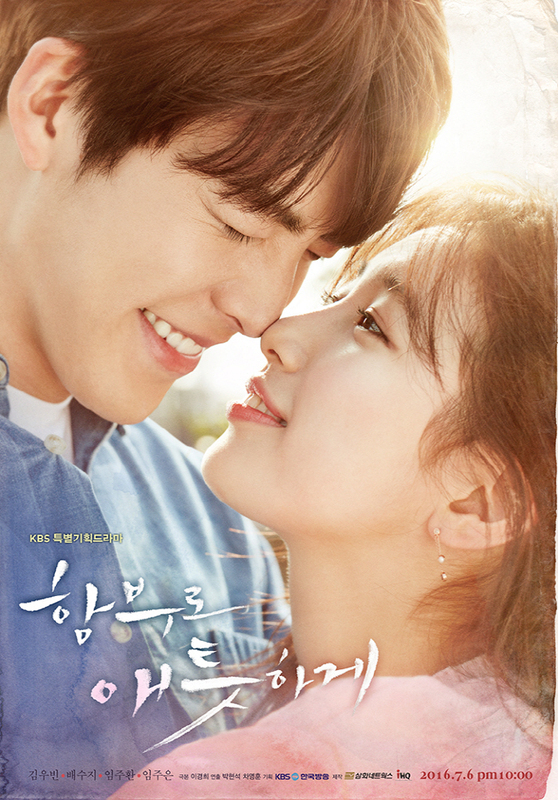 Having watched 4 acting projects of Kim Woo Bin prior watching UF, I actually had higher expectation for him than Suzy. He was good in those 4 projects of his (The Heirs, The Technician, Twenty, School 2013. Yes except School 2013 because I didn’t quite like him there). 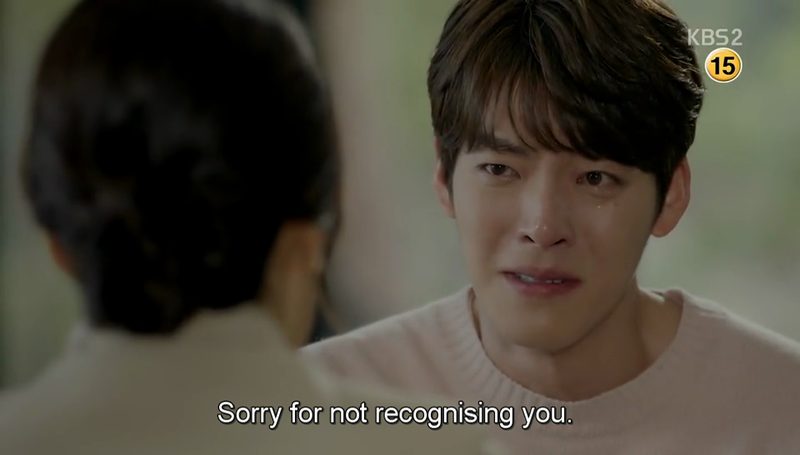 I was actually surprised that in episode 1 Kim Woo Bin was very awkward. Suzy on the other hand, surprised me with her acting. 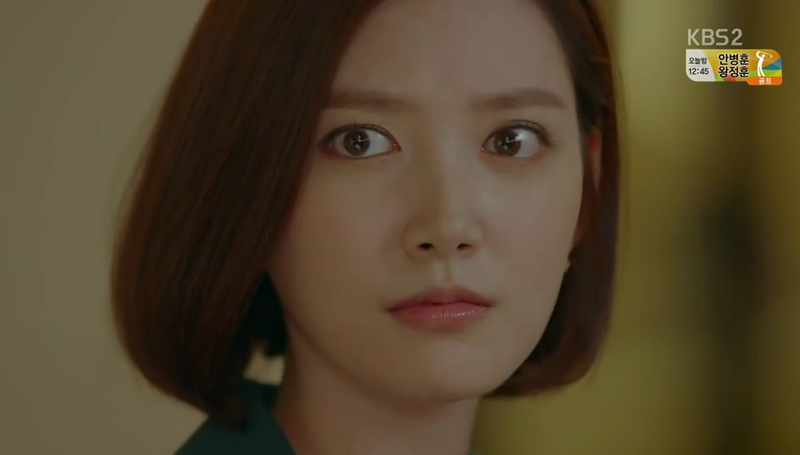 She was actually good and less awkward compared to Kim Woo Bin. Both got better as the episode went on and both surprised me with their acting. 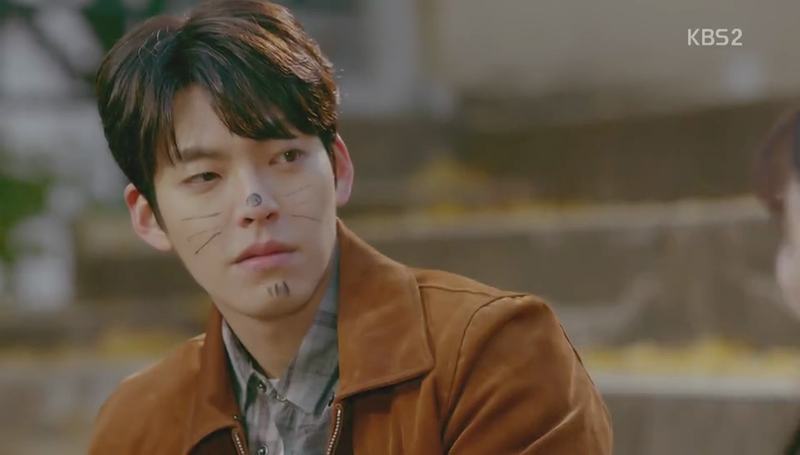 Kim Woo Bin was bad in some parts but he was great in the other parts. For example, every time he got headache he really looked like he was so in pain. Like he was really hurting. Suzy was consistent from start to finish. She was great and deserved all those praises for her portrayal of No Eul. Her crying scene was pretty natural. Crying scene is like the most difficult scene for an actor to do. 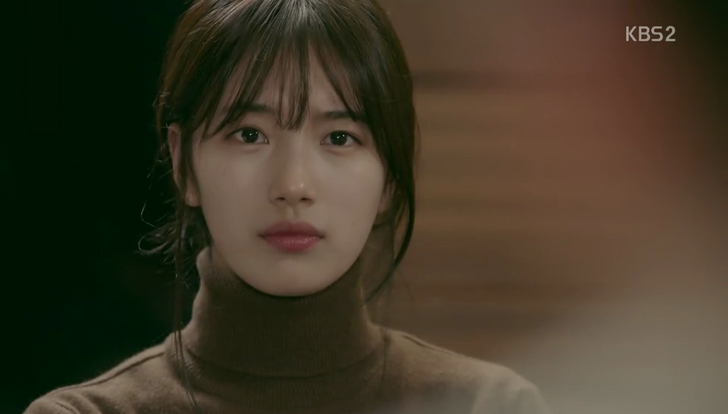 The fact that Suzy successfully made me shed tears proves that her acting in UF was good. She’s my girl crush from now on. 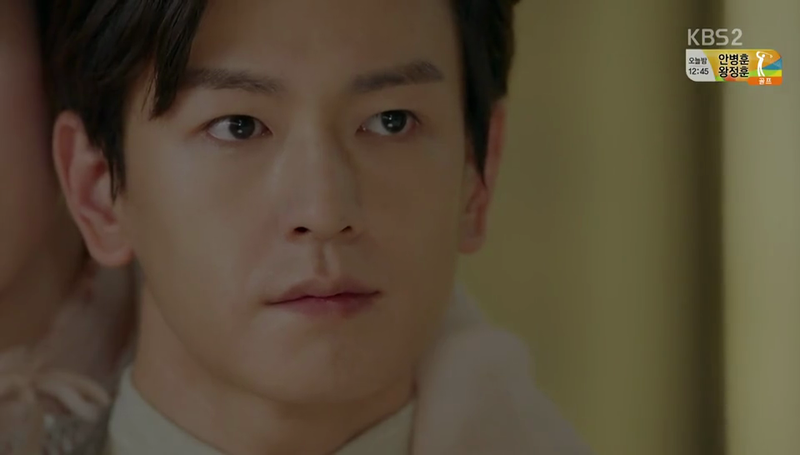 Im Joo Hwan! 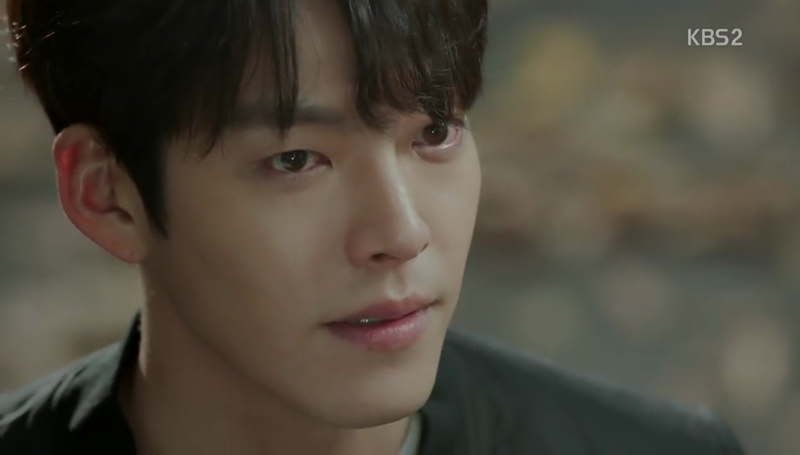 He’s definitely the best actor among all 4 leads (him, Kim Woo Bin, Suzy, and Im Joo Eun). 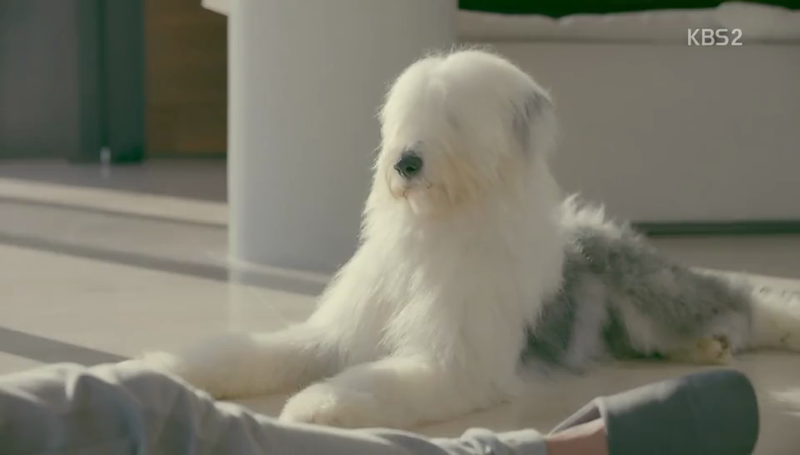 I always got distracted every time he appeared. If you’re following me on twitter you must know that I’ve tweeted so many caps of him from UF. He’s just the definition of an oppa. I have nothing to comment on his acting. He was great! His gaze to No Eul did all the talking. I couldn’t connect with Yoon Jung Eun (played by Im Joo Eun) at all. Probably because her portrayal was just straight up annoying. All she did were opening her eyes really wide and yelled out loud. 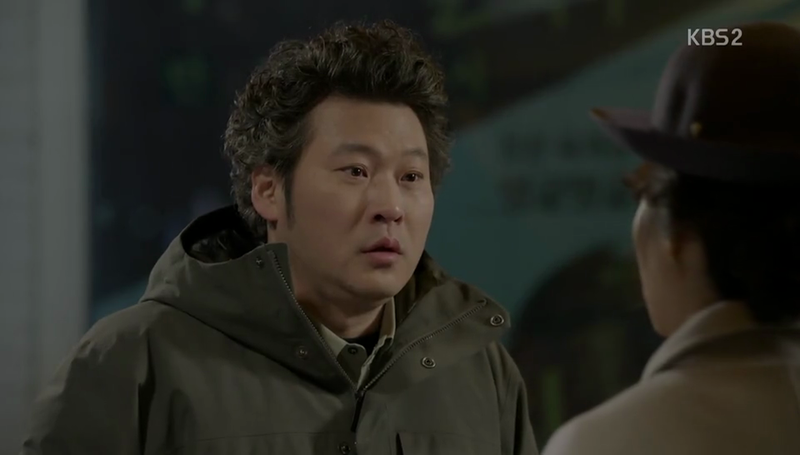 And can we just take a moment to appreciate Choi Moo Sung? After watching Cruel City/Heartless City earlier this year, his acting as Safari is just too hard for me to forget. OH WELL EVERY CHARACTER IN CRUEL CITY IS UNFORGETTABLE! He delivered his role perfectly as someone who’s blinded by power to the point of abandoning his own family and friends, denied his root, and turned into a monster. Can you just believe that this sweet Jung Shik uncle here in UF is the same guy who played as Safari that cruel uncle of paksa adeul in Cruel City? Can we take a moment to appreciate his wide spectrum of acting? I truly salute him. PORORO CANNOT BE LEFT OUT!!! LOOK AT THAT BABY!!! Cinematography was breathtaking. Beautiful beautiful shots! Every scene looked polished and well-planned. I also liked it that the director played with some different angles too. The directors sometimes took a shot from afar, giving us a full shot of the casts and the background. I also liked the editing work from one scene to another. It was clean and wasnt sloppy unlike in some dramas (Yongpal pops up in my mind uhuk that ep 4 uhuk. Yongpal somehow has become my standard in judging one drama’s editing). I liked how they tried different color filter matching it to the vibe of the scene. Director also liked to shoot the scene from a distance, giving us beautiful beautiful scenery in the background. I’m actually one of those who enjoyed the drama from start to finish. It was lackluster but had that satisfying factor. It kept me wanting to watch the next episode. Ok, for this one, I’m gonna write down my impressions about some of the episodes. After that I’m going to summarize all of my thoughts about UF as a whole. Episode 1 was very very weak compared to the rest of the episodes. The 2 follow up episodes were lackluster too for me. It was entertaining enough to make me curious about the next episodes though. But ep 1, 2, and 3 were just not my favorites. Episode 4 was actually lot better than ep 1-3. The story‘s pretty much been built up at this point. Done with OTP’s backstory, done developing the characters, and the core plot was about to take off. AFTER 3 DAMN EPISODES! 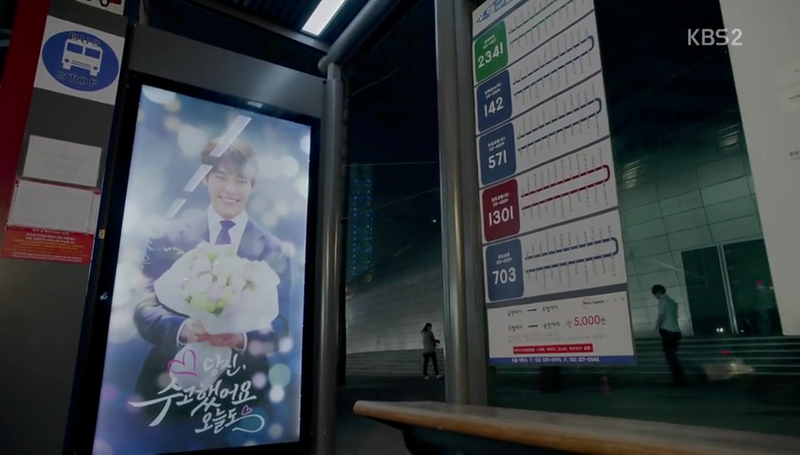 In episode 11, Ji Tae said he had liked No Eul since the beginning, when both his parents ruined No Eul’s life. But how? How did he know it? How did he know that his parents ruined No Eul’s life? With plenty of flashbacks, I just wish they explained/showed even just tiny bit of Ji Tae when he learn about this. Finally the OTP got together in episode 19! After so so long! Episode 19 was also a turning point for some characters. Episode 20 did not disappoint! I cried a lot and so many memorable moments in one episode. I have 3 very favorite scenes from ep 20. First, when Joon Young said sorry for not recognizing his mother. That broke me into a million pieces. Second, when his mother thanked him for being her son. That one line was very emotional. As we watched from episode 1, Young Ok, was not the type of mother who show and shower Joon Young with affection. She even kicked him away from her life. By her saying that one line, it felt like the walls she had have built all those years just crumble in a split second. The third memorable moment is actually No Eul’s line. 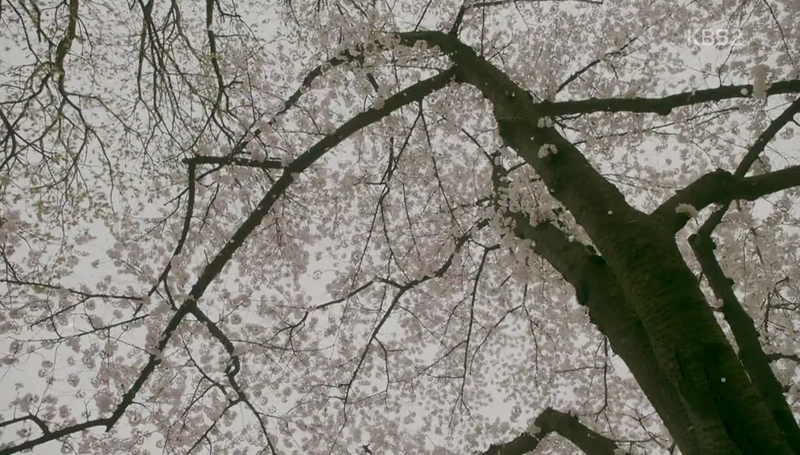 “See young tomorrow, Joon Young-ah.” The last scene was supposed to be light and make you smile. 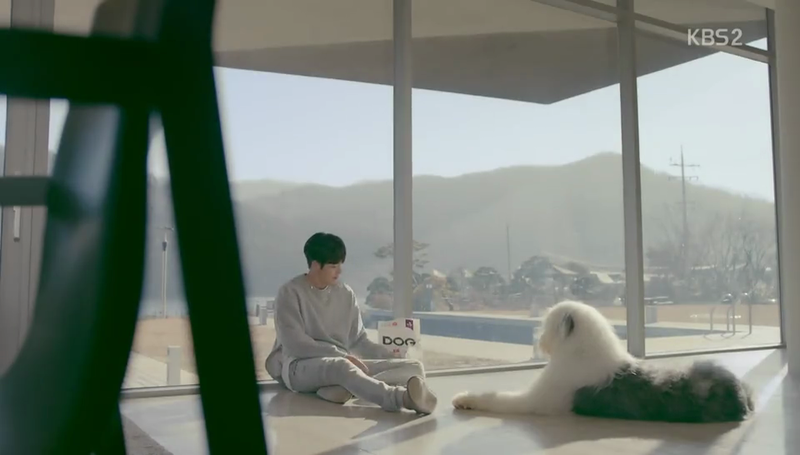 Junggigo’s Only U was playing in the background, making the scene a sweet one. I guess it didn’t work for me. I shed tears watching the last scene. What’s funny is, I was crying and smiling at the same time. I must have looked so stupid thank God no one saw me ><. Now, let me summarize my thoughts about UF as a whole. The plot moved at snail speed. It was predictable. But it was very addicting. It was satisfying and entertaining too. The struggle to survive a week without a new episode was real for me. It was that addicting! At some point I couldn’t connect with the writer at all. I liked that she kept the plot moving at a very steady speed but I just couldn’t understand why she must make Joon Young a very irritating character. 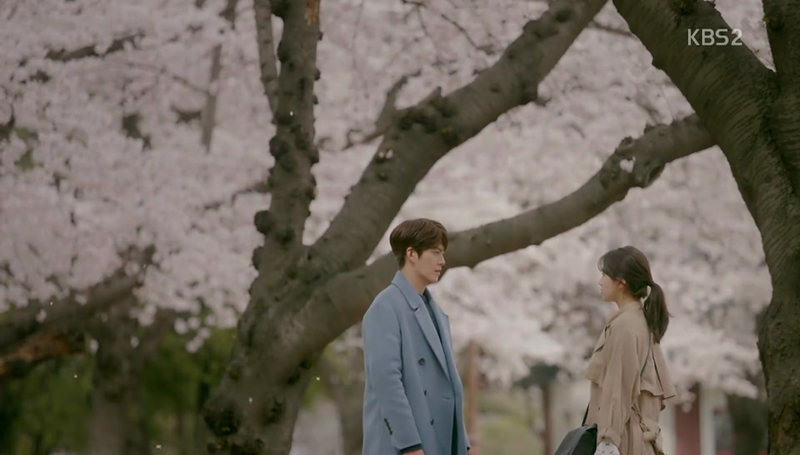 Joon Young kept on pushing No Eul away, bullied her, humiliated her, but he came back to her saying how much he love her only to push her away for the Nth times. Joon Young changed his thoughts so quickly that it drained me. Also, too many things got in the way of OTP’s love story. This reflected in how little OTP actually shared some quality moments together. It took a really long time for the antagonists to realize their wrongdoings. That’s another irritating thing. I cried a lot watching the last 2 episodes. My eyes got really swollen the next day. Even that gel-padded eye shade that claims to be effective in preventing swollen eyes didn’t work! I even felt so embarrassed by just looking at my reflection on the mirror. I didn’t think I’d cry that bad. Stream/download the OST album legally on Melon! Lovely! The OST albums are loaded with so many great songs and tracks. What I liked more is, they used the proper tracks to the scene not just add some random track just to make the scene not too quiet. Each track/song was wisely picked and used. What I liked even more is, they featured 3 great english language songs sang by actual english speaker singers! We discovered two great bands; Midnight Youth and New Empire. New Empire’s two songs (A Little Braver and Across The Ocean) are LOVE! Too bad they’re disbanded not too long ago. I don’t understand why they released an official MV for A Little Braver. Maybe they cancel their disbandment because of the sudden fame they gained? As a whole, UF was a fun watch. It actually exceeded my expectation. Acting could be better but the casts already gave it their best. Plot was easy to understand and relate. Just make sure to not get irritated by Joon Young’s behavior. He’s just a loner. Will I Watch it Again? Yes!